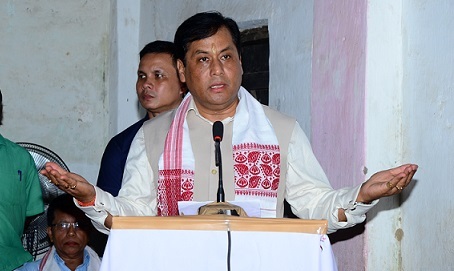 Assam Chief Minister Sarbananda Sonowal hailed the State Budget for 2019-20 presented in the State Assembly on Wednesday by Assam Finance minister Himanta Biswa Sarma and termed it a ‘pro-people’ Budget. Sonowal said the Budget has the inherent potential in stimulating equal development of all along with providing social security and economic empowerment. Lavishing praise on the Budget, Chief Minister Sonowal said that the Budget will be the catalyst for equal development and equal dignity of all sections of the people belonging to Barak, Brahmaputra, hills and plains. The Assam CM stated that the provision of the Budget, which will give rice to 54 lakh family for just Rs. 1/kg and free rice and sugar to 4 lakh tea workers’, will provide social security to the people of the State. Moreover, the Budget provision like Arundhati, Gyan Deepika, Vistarita Atal Amrit Abhiyan, Vistarita Kanaklata Mahila Sabalikaran Yojana, Swahid Kushal Konwar Old Age Pension Scheme, Krishak Kalyan Achoni will lead to empowerment of all sections of the people of the State. The Assam CM also hailed Assam Darshan and Bhasa Gaurav and Asom Mala schemes announced in the Budget and said these schemes would develop and publicise various places of tourist interests and lead to constructing 1000 km long lasting high quality roads over the next three years. The Budget will expedite the rate of development in the State taking all sections of the people on board, the CM hoped. Assam Finance minister Sarma on Wednesday presented a Rs 1193.04 crore deficit Budget while announcing 18 flagship schemes.